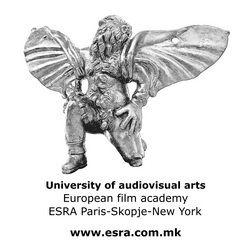 University of Audiovisual Arts, European Film Academy, ESRA Paris-Skopje-New York, started to work in 2007 year as first private University in the field of audiovisual arts in Macedonia. 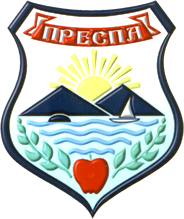 The educational programs are implemented by the most qualified professors from Macedonia and abroad. The University of ESRA in Skopje shares the building with Macedonian Cinematheque and is equipped with the highest quality equipment which offers all necessary conditions for quality attending of educational process to the students. 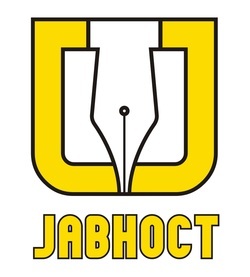 Besides the actual educational programs and activities, it is an intention of this University to organize workshops, festivals, film revues, theatre plays, to present to the students and Macedonian public some of the biggest artist in the world of film, theatre, etc. As an institution the University is involved in the organization of the French film festival in Ohrid, Theatre festival “Actor of Europe – Lake Without borders” in Resen and of course "SEE a Paris" Film Festival. Some of the famous artist as Jiri Menzel, Claude Leloush, Manoel De Oliveira, Boro Draskovic and Charles Aznavour visited ESRA Skopje University and they were all proclaimed as Doctor Honoris Causa of University of ESRA Skopje-Paris-New York. Битолскиот информативен неделник “Јавност” обезбеди репутација на сериозен и респектибилен весник кој со своите теми кои ги третира и професионални текстови, претендира и конкурира и на националниот информативен простор на Република Македонија. Текстовите се актуелни, професионални, а темите издржани и проверени со што весникот се вбројува во најценетите медиуми во Македонија. Badel 1862 AD Skopje is a leader on the Macedonian market of alcohol beverages. It counts 70% of total alcohol imports in Republic of Macedonia. The direct distribution and being in sync with the needs of the consumers enables us to gain a reputation of a ‘domestic’ company, since Macedonian people see Badel as their native brand. The basic activity of the company is sales and distribution of sprits, where the biggest part of the realization (79%) happens in the on-trade sector. Badel’s products are a ‘must have’ in the range of every bar and trade chains. The offer includes 120 products of worldwide brands of spirits, wine, ouzo, natural juices, coffee and tea. Badel 1862 AD Skopje is established in 1991. as Badel Trade, and complying with the changes in the economy it changes the name into Badel DOO Skopje in 1997. In 2007 it is restructured into a holding company, with the name Badel 1862 AD Skopje.